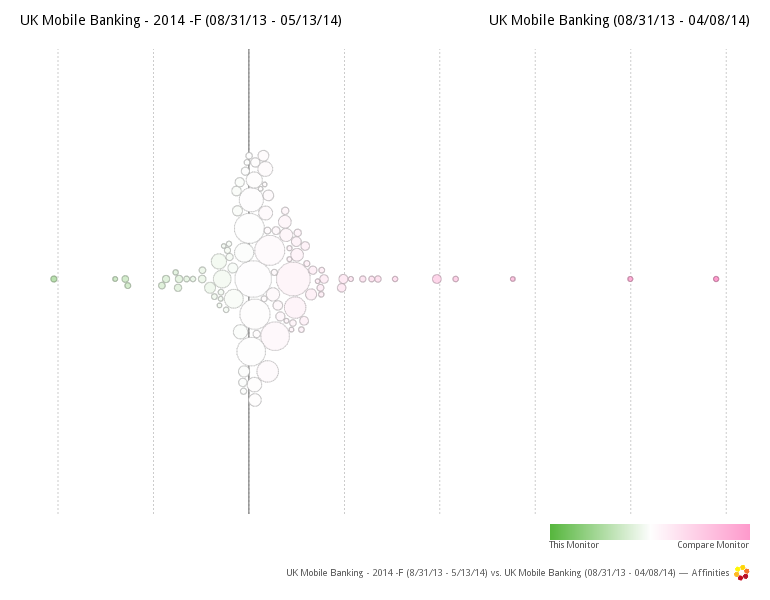 In September 2013, 5W looked at the reported experience of UK customers around banking with their smartphones. Many things have changed since then. The BBA published a report stating that mobile banking transactions doubled within a year – a rate internet banking didn’t manage to achieve in a decade. Inspired by the same report, The Telegraph headlined “Banking technology brings ‘seismic decline’ in branch transactions”. 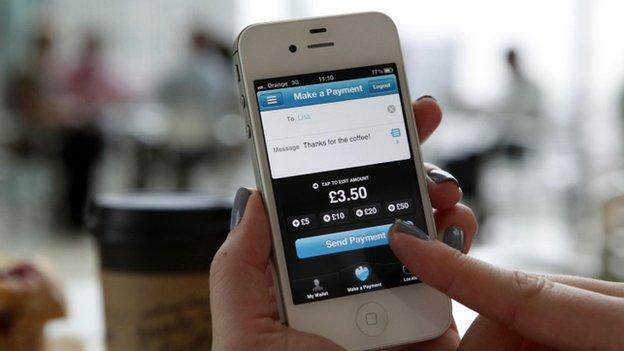 Earlier still, multiple banks signed up to use a common app for mobile payments services, switching bank accounts is much easier now, and Lloyds TSB split into Lloyds and TSB as two separate entities. With changes abound, we, at 5W, thought it’s worth it to have another look at what changed in the social conversation from last year. From our initial assessment of the data, we saw a shift in the conversation about mobile banking apps from a “nice-to-have” to a service people rely on. This shift is an indicator of the adoption of mobile banking as part of the banking routine which falls in line with the BBA report. As more people use mobile applications, more often, these applications lose their novelty and become utilities people use to solve everyday chores. Hence, we reorganised the analysis from the lens of mobile banking as a service. The new analysis is based on 3,035 posts for the same period. To check that we are still assessing the conversation of the same profile of users, we compared their interests with those of last year’s monitor. The bubbles represent the interests from both groups, their size represents how prevalent they are in the groups, and how far they are from the vertical line represents their difference – wider spread = greater difference. Here we see the bubbles are bunching up in the middle of the graph, and the ones that don’t, talk about time-dependent events such as IOS7 (which wasn’t released until September 2013). This gives us confidence that we are still observing the same profile of people. This shift in conversation is a mirror of this transition. Less people are now wowed by the mobile app features but more find them to be essential to their day to day activities, “God sent”, and more talk about the banks “finally having an app”. 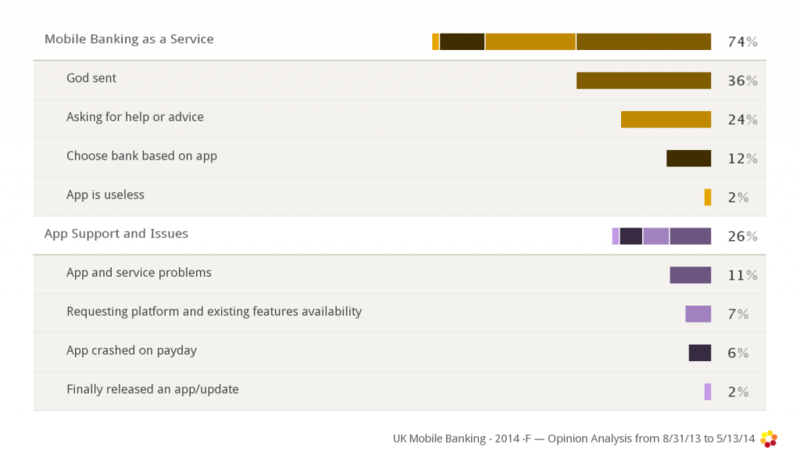 Indeed, we see that the bulk of the conversation is now treating Mobile banking as a fact of life. 36% state it’s “God sent” in its convenience; while 24% ask for help or advice, which indicates that more people are adopting the solution leading to an increase in questions around it. In 2014, we see a new category, “choosing bank based on app” counting for 12% of the conversation. It includes posts about people asking which bank to go to or mentioning that they chose or are switching banks because of the mobile app. This is a sizeable change from last year where we barely detected any mentions of this phenomenon. A separate analysis of people talking about switching banks (1,206 posts) showed that mobile banking is not a major reason to switch; but it is a reason (12%), and one that might grow as more people adopt the technology. App and service issues and platform support, at 24% of the conversation, are still the main points of customer complaints. The issues ranged from the apps not supporting newer releases of the software to crashing on pay-day. Customers voiced frustration at the banks not supporting BlackBerry 10 and Windows Mobile 8 after a year of promising the updates. Overall, this analysis points to the move of mobile banking from a nice-to-have into mainstream functionality. The increased adoption of mobile banking apps, especially when driven by the banks’ own advertising, means customers expect a reliable service. This massive adoption will be pushing the banks to learn from the leaders in mobile software development and potentially work with the mobile vendors to ensure compatibility with future iterations or outsource the mobile banking app service to specialist firms. Equally, the demand for platform support present an opportunity to share development costs with Mobile Vendors to promote new platforms i.e., Windows 8 Mobile, Blackberry 10, especially when the numbers backup the proposition. From what is apparent, the major lack of incentive to push mobile development further is customer inertia. Few people actively mentioned they will or are switching banks for the app. This inertia gives the banks time to consider where to invest their money, if at all. Last September, a new regulation made it easier for people to switch bank accounts and the pressure to be up-to-date with mobile banking will increase when more people get on-board mobile banking and are used to switching banks.